Webcam "Weather Webcam Schwarzenberg "
In Schwarzenberg, there is the Webcam Weather Schwarzenberg with motif: Matt Pilatus. 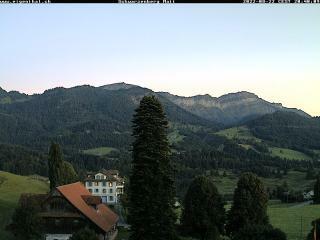 The webcam Schwarzenberg is regularly updated with new pictures. Track the current weather in Schwarzenberg with the webcam SCHWARZENBERG. Wooded and size as is Schwarzenberg largest municipality in the district of Lucerne, with 39.31 km² seventh largest municipality in the canton. Need more argument for a trip to Black Mountain? One click and you're using the Live Weather Webcam Black Mountain road. The current live Weather for Schwarzenberg is provided by netatmo.